One Direction has released a new makeup line created by Markwins called "The Looks Collection". This collection of makeup comes in your choice of three different tins inspired by One Direction albums Up All Night, Take Me Home, and Midnight Memories. Each kit comes complete with everything you need to complete either a rocker chick, girl next door, or party girl style. 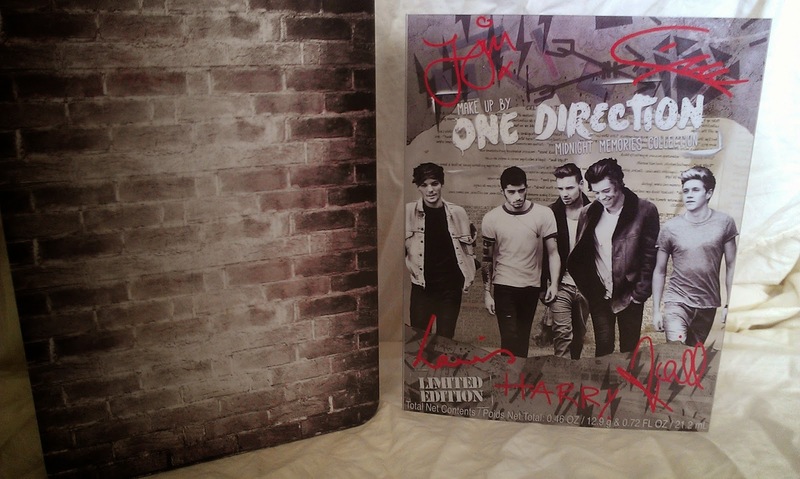 I was able to get my hands on one of the Midnight Memories kits. As I stated before, the collection comes in a collectible tin that has a brick motif which is also carried out inside as well as onto the makeup products themselves. 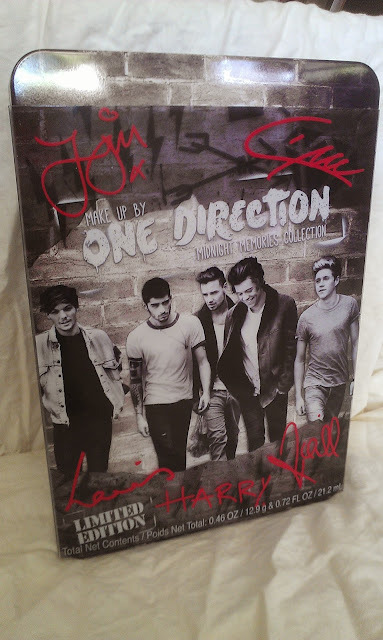 The photo of the group and their signatures is on a clear slip cover that fits over the tin. I forgot to get a picture of it, but the back of the slip shows what makeup comes in the tin and just gives an ingredients list for each of the cosmetics. The inside left of the tin has little drawings and gives you a few ideas for to use for the shadows. 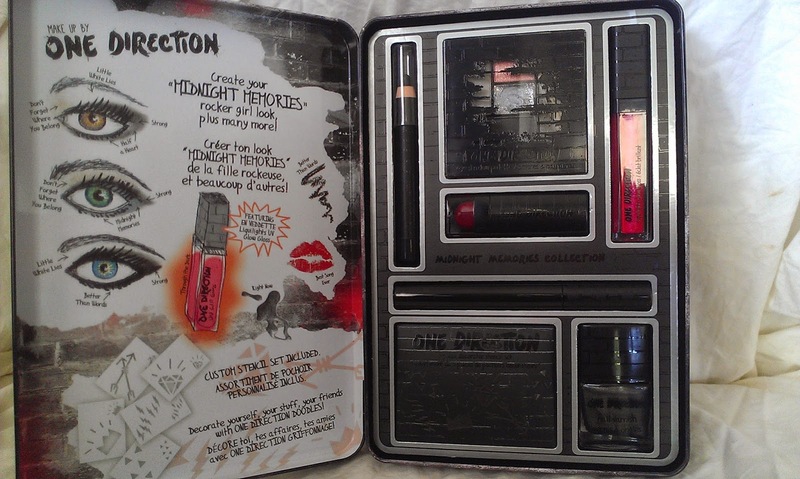 The cosmetics themselves have the black brick motif as well as "One Direction" printed on them. 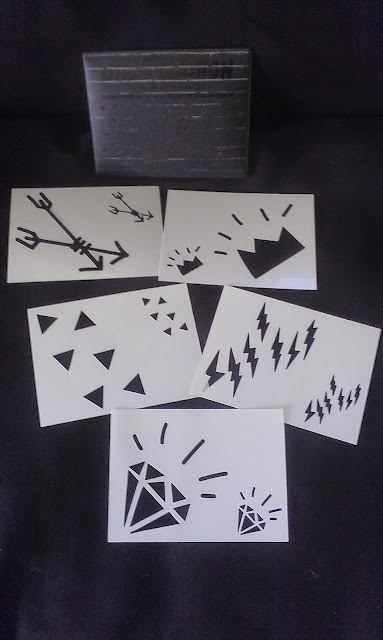 These are the stencils that it comes with. Apparently, you can use these to decorate the tin. Maybe if you had paint or something, but I really don't think marker or the "body crayon" is going to do it in that situation. However, these would be great to use on your body for concerts, Halloween, or parties! 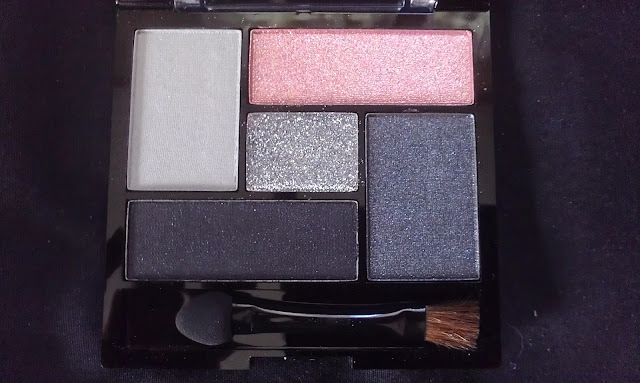 This is the mini shadow pallet for Midnight Memories. You get 5 colors and a double ended brush/sponge applicator. The colors have names of songs on the album such as "Little White Lies" (light gray), "Don't Forget Where You Belong" (pink), "Midnight Memories" (silver), "Strong" (black), and "Half A Heart" (dark gray). Speaking honestly, the pigment in these isn't all that great in my opinion. The colors are great, but it took some work (and my own makeup brushes from my personal collection) to really get a pop of color with these. Now, granted, you could use a primer first and I suppose that might help, but I as fresh out of primer. The silver is more of a cream than a powder. I had decided to wear this over the dark gray but found that it didn't go on so smooth. I had to be careful not to rub off the powder underneath and then you run into the trouble, as you do with a lot of creams, of it flaking off and creasing. The black eye and body crayon is called "Better Than Words" and can be used as an eye liner, eye shadow, or with the stencils anywhere on your body. 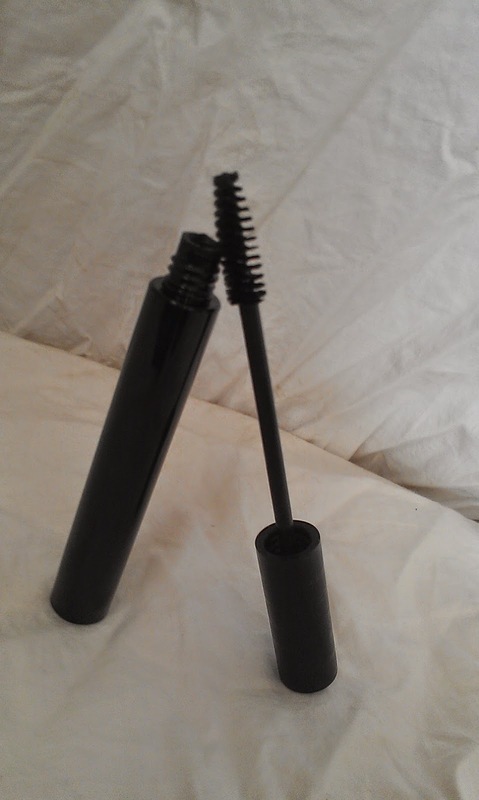 "Little Black Dress" is the name of the voluming mascara and I like it. It's not too think and goes on smooth with no clumping. I used a lash curler on my lashes before using this to give my lashes a little more oomph! I painted my nails with the One Direction "Right Now" liquefied metallic steel nail polish that comes in the collection. the lighter silver color on my ring finger is actually Sinful Colors brand in "Tantalize" which I think compliments the darker polish nicely. I was quite unsure about the lip products in this kit. 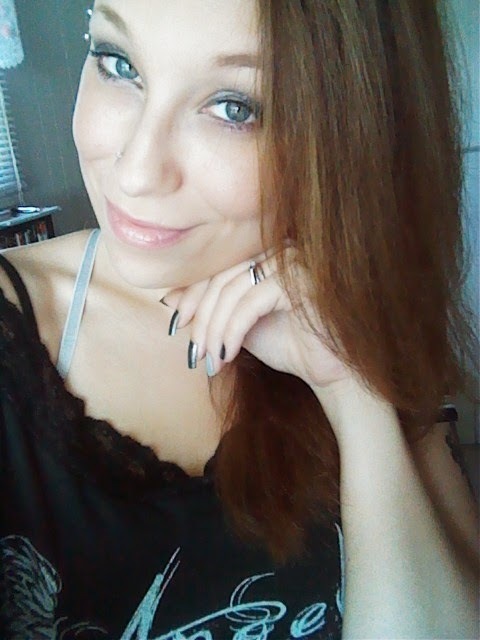 I'm rather pale in complexion, so I try not to use darker lip colors. I'm aware that this seems to be the trend ESPECIALLY among pale skinned ladies, but I just can't pull it off. 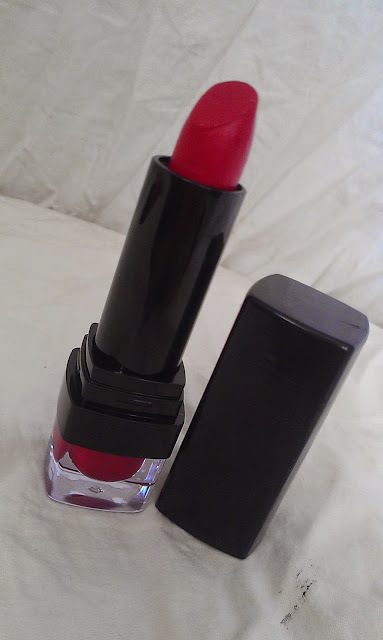 This crimson red lipstick is titled "Best Song Ever". 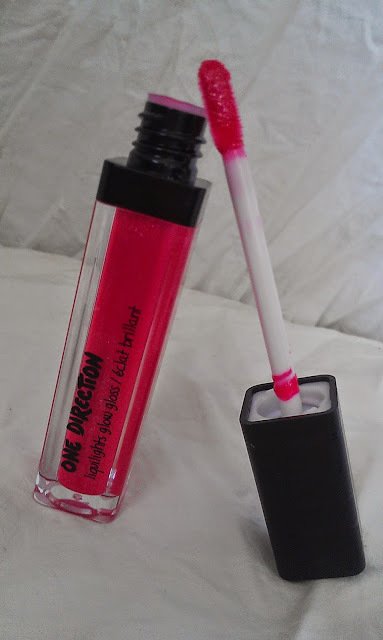 "Through The Dark" is the name of the Liquilights Glow Gloss. This lip gloss is a glittery poppy color that glows to neon red orange under UV light! That's a rather cool concept if you ask me! 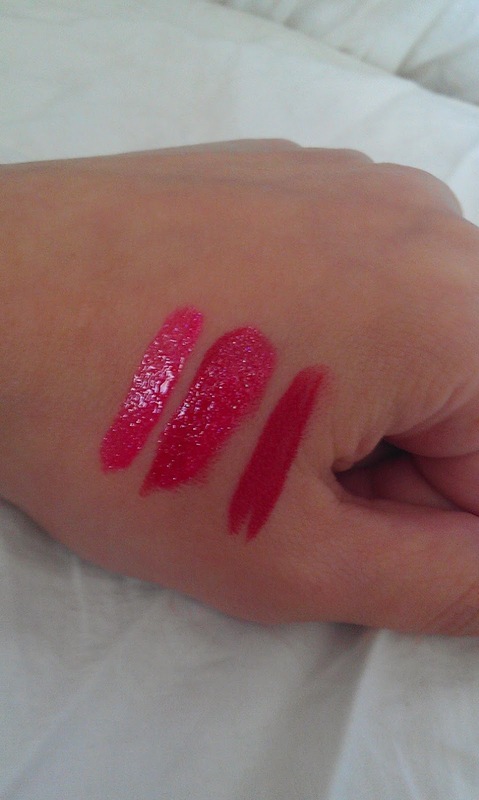 I did swatch samples to show you the gloss and lipstick. The first swatch is of the gloss by itself, center swatch is lipstick and gloss together, and last swatch is just the matte lip color. You can see they are rather bright colors. 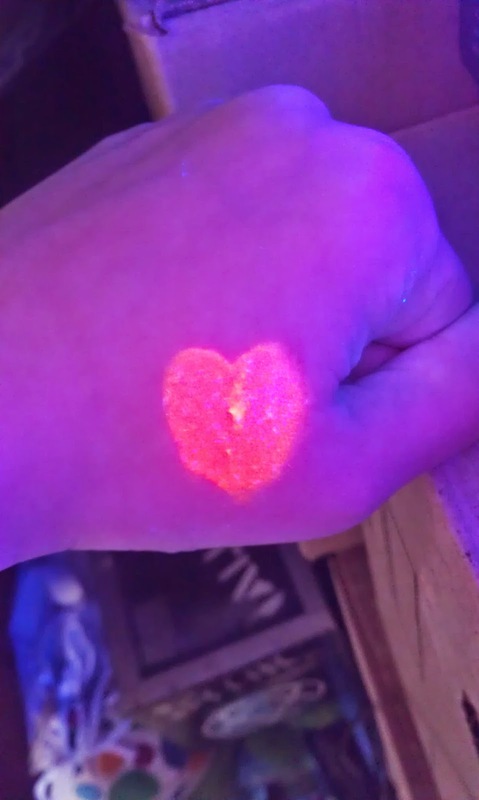 I also happened to have a black light and wanted to show you how the gloss glows. The photo is showing it more of a pinkish orange, but true color is, in my opinion, closer to a darker neon orange. 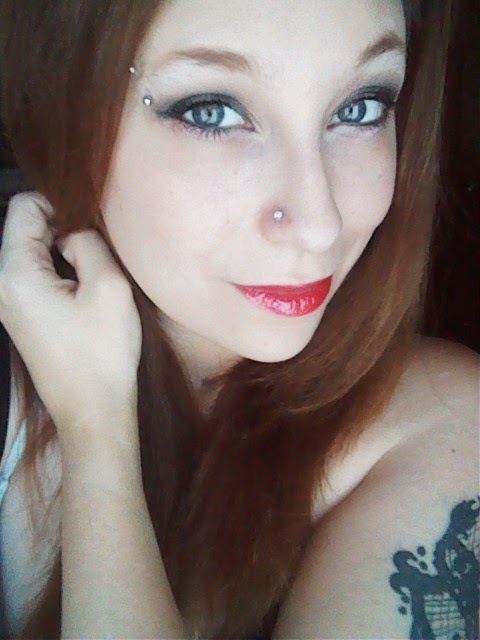 I really wanted to like the lip color and maybe it would be useful in a pinup look, but it's just too dark for me. I ended up wiping it off and putting on a more natural pink color and I think it better compliments my skin tone and the smokey eye look which I did with the rest of the cosmetics in the collection. 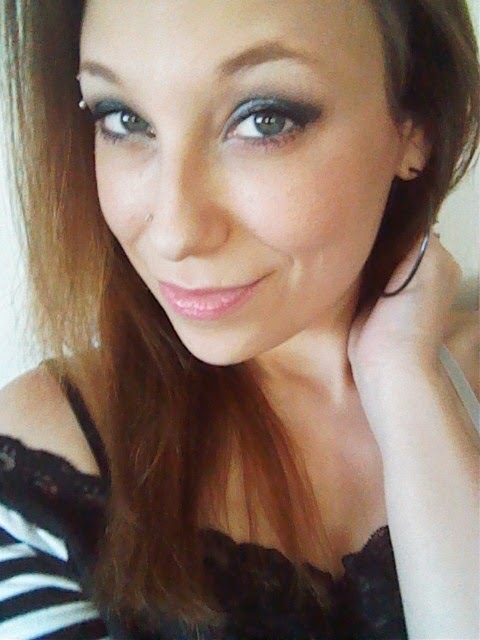 I used "Little White Lies" as highlight near the brow bone and inner corner of my eyes. "Half A Heart" was used on the lid and "Strong" was used in the crease and outer corner. I then carefully layered "Midnight Memories" over top of "Half A Heart" to get the "rocker" look from the shimmer. 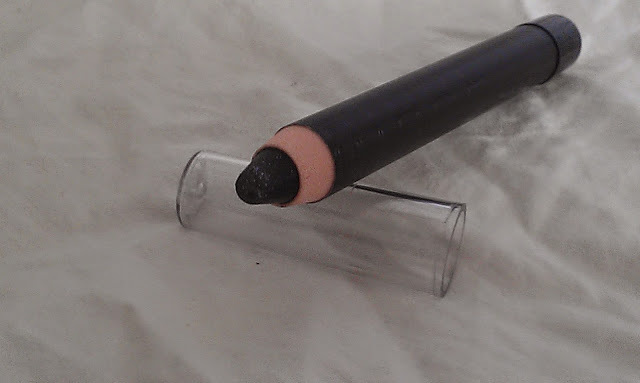 Afterwards, I lined under my bottom lashes with "Don't Forget Where You Belong", lined the top lid and bottom waterline with "Better Than Words" body crayon, and finished up with "Little Black Dress" volumizing mascara. Makeup by one Direction is currently in stores in the united States and is awaiting International release. I am pleased to announce that I have partnered with fellow bloggers who are offering giveaways for Makeup by One Direction! If you would like to enter to win one of these great collections, please visit these sites below and tell them in the comments section that The Mom Next Door sent you! 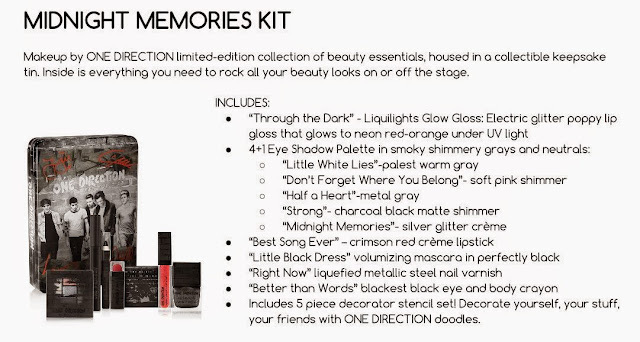 **The Mom Next Door is now among the blogs that is also giving away a Makeup by one Direction kit. That gives you 9 chances to win!! *Powered by BrandBacker. I was given these products for free in exchange for my honest review. All thoughts and opinions are my own. I Hate that this is not working! I Have tried everything I Can think of but I am Still Not Getting Credit! I Know it is Not Your Fault; I am Just Upset b/c I Really Liked this Make Up Set a Whole Lot! Thanks Anyways for Your Help, Have a Blessed Day!